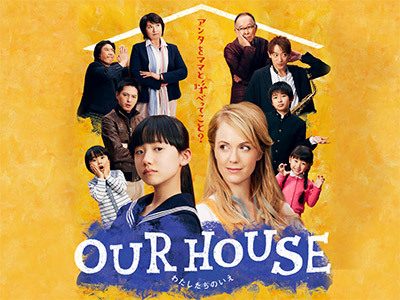 Set in the residential suburb of Tokyo, the story revolves around the Ban Family with four kids and a widow father. Since their loving mother passed away from illness six months ago, the eldest daughter, 12-year-old Sakurako (Mana Ashida) has taken care of all the household chores and manages the family alone. While the four siblings are still feeling down from the loss of their mother, their father Sota (Koji Yamamoto) returns home from his work in the U.S. along with a young American woman named Alice Shepherd (Charlotte Kate) whom he decided to marry almost instantly. Unhappy that her father has remarried so soon, Sakurako tries various ways to drive Alice out of the house. On the other hand, Alice believes that her encounter with Sota was true fate and is determined to become the new mother of the Ban Family. Will she eventually befriend the children? Will Sakurako and Alice ever understand each other? Mana Ashida shows that she can even play a selfish brat, something that, as far as I can remember, she hasn't done before. As for the drama itself, it was just average at best.